Merry Christmas! 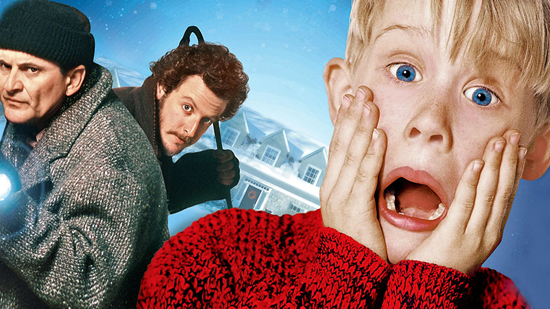 I reviewed the first two HOME ALONE movies yesterday at Frame Rated, so if you have a spare 5 minutes today maybe give it a read? Too busy playing with toys and eating turkey? OK, I understand. Bookmark for another day, it's fine! Ho-ho-ho! Up until 1990's Home Alone, director Chris Columbus was best-known for writing two seminal adventures for kids of the '80s, Gremlins and The Goonies. We'll gloss over his directorial debut Adventures in Babysitting, which doesn’t stand up to scrutiny—but all three films exhibit an interest in stories about children without adult supervision, and the trappings of Christmas—so it's little wonder Home Alone made Columbus's career, as it combines both his fascinations.